As one of the "Big Six" major American film studios, the Warner Bros produced many great movies such as The Dark Knight, Harry Potter and the Chamber of Secrets, The Matrix, The Blind Side, etc. The condition is that you have bought many great DVD movies from Warner Bros, When you popped that DVD into your home theater PC and snuggled up on the sofa with your wife, it wouldn’t play. As a matter of fact, the reason why the Warner Bros DVD won’t play is that they have installed some anti-piracy protection onto the DVD movies, which prevents the disc from playing on your personal computer or other unauthorized devices. Warner Bros, together with several other movie production companies, has created Secure Content Storage Association (SCSA) to develop a new digital rights management (DRM) protocol that would make digital media available on multiple fixed devices via the cloud. However, such media cannot be downloaded or copied. Although there are many DVD Ripping tools on the market, however, you may be disappointed to find that some free DVD Rippers such as Handbrake, Format Factory, etc may lack the ability to handle copy protected DVD movies. Other programs such as VidCoder, MediaCoder, etc may only deal with very limited DVD copy protection types, there are still some paid ones may fail to work with the new DVD copy protection used on many recently released Warner Bros DVD movies. Fortunately, here comes the powerful DVD Ripping tool - Pavtube ByteCopy, the program can powerfully bypass all DVD copy protection including Region code, RCE, key2Audio, UOP, CSS, Macrovision, FluxDVD, Protect, ARccOS, AACS, BD+, ROM Mark, BD-Live, etc. Besides that, the program also keeps constant update with perfect support for the new copy protection used on the recently released Warner Bros DVD movies. Apart from bypassing the DVD copy protection, the program also offers various different ways to backup and rip Warner Bros DVD movies. 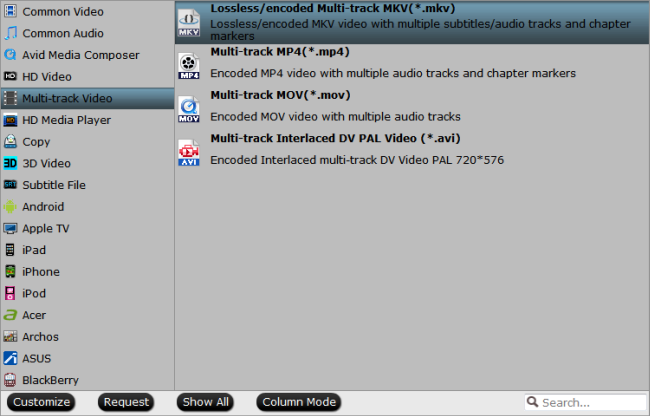 You can make a 1:1 full disc copy with the original file structure, a main DVD movie copy without unwanted trailers, ads, comments, etc or a lossless multi-track MKV copy with your unwanted subtitle languages and audio tracks. You can also choose to copy or rip DVD to various common digital file formats and specific devices preset profile formats for conveniently viewing on various devices and applications. For Mac users, you can switch to download - Pavtube ByteCopy for Mac to do the same conversion on macOS High Sierra, macOS Sierra, Mac OS X El Capitan, Mac OS X Yosemite, etc. Step 1: Import Warner Bros DVD Movies. Step 2: Different ways to backup Warner Bros DVD movies. 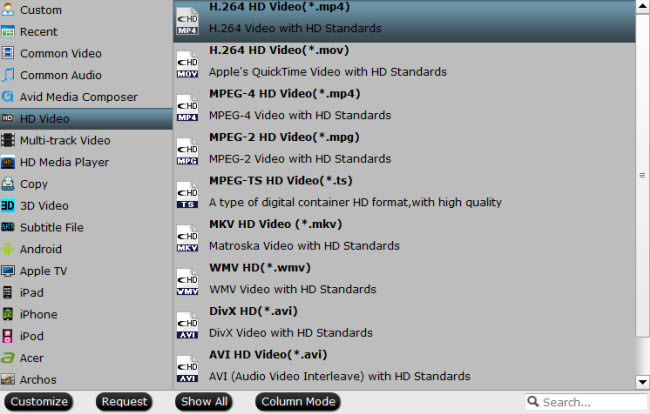 On the top tool bar of the main interface, use the http://www.multipelife.com/wp-content/uploads/2014/04/copy-the-entire-disc.jpg option to make an entire disc copy of original DVD structure without changing anything. 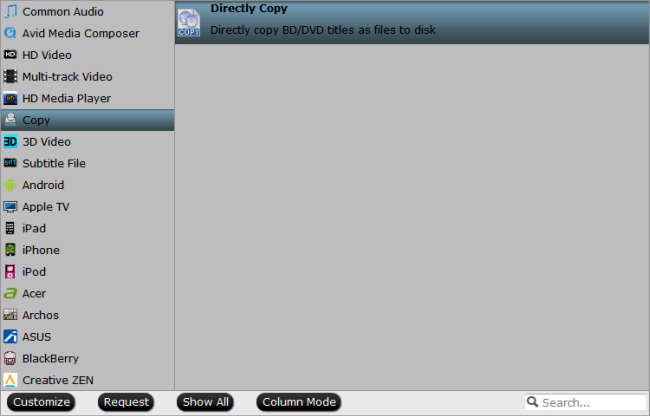 After all setting is completed, hit the "Convert" button at the right bottom of the main interface to begin Warner Bros DVD movie copying or ripping process.